The Law CRAI Library provides comprehensive materials for teaching and research activities at the Faculty for the courses: Law, Political and Administration Sciences, Public Management and Administration, Industrial Relations, Criminology and Criminal Policy, Private Investigation and the UB-specific undergraduate degree in Public and Private Security. The Law CRAI Library also houses the Depository Library of the United Nations. This Depository Library was transferred to the University of Barcelona in April 1963, making it the first UN library at a Spanish university. It was housed in the Faculty of Law, where it is still located today. 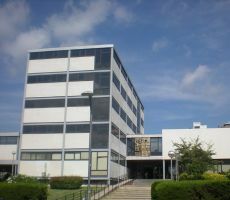 Since January 2010, it has formed part of the Law CRAI Library. Monday to Friday, from 8.30 a.m. to 8.30 p.m.
Subject areas: materials for courses of study in Law, Political and Administration Sciences, Public Management and Administration, Industrial Relations and Criminology. Early collection: 1.019 printed works from the sixteenth century to 1820.